Do you feel it in the air? The festive season of the Lunar New Year is once more upon us. The malls are all decked out in red and festive songs are on full blast on radios. However, are your knees suddenly feeling weak at the thought of facing your relatives during Chinese New year? More so their nosey questions? This year, why not steer clear of questions you don’t want to answer and celebrate CNY in style? We’ve combed our data to find the 6 top destinations you can go to this CNY. So, if you’d like to ring in the new year without overindulging on pineapple tarts but would still like to experience the ambiance of Lunar New Year, we’ve got you covered. Here are 6 awesome places to bring your family to this festive season. And while Beijing and Hong Kong are equally awesome locations, we’ve decided not to include them on this list. That’s because those two places will often be overcrowded during this time, which doesn’t make for the best holiday experience. Without further ado, here are some of our top CNY destinations! 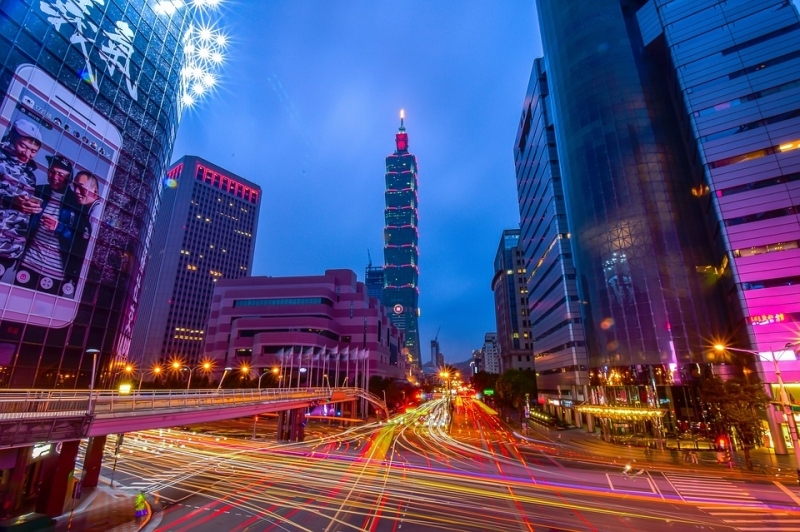 Taipei kicks off this list as the place to be during Chinese New Year. Chunjie (as the locals call it) is so important that it’s a week-long public holiday in the city. Does that mean the city will be empty when you visit it? Yes and no. While most of the city’s residents will travel back to their hometown, the shopping establishments, night markets and some of the tourist attractions will still be open for business as usual. However, as opposed to Hong Kong, the celebration in Taiwan still very much takes place in the local’s homes, so there won’t be any official street parades and the city centre will be less crowded than usual (yay for that!). However, beautiful, brightly-lit decorations will still adorn the streets! Apart from that, you can also head to Shifen, an old mining town in the mountainous Pingxi District. It is only one hour away from Taipei by train. Here, you can participate in the long-standing tradition of releasing your wishes on a sky lantern. 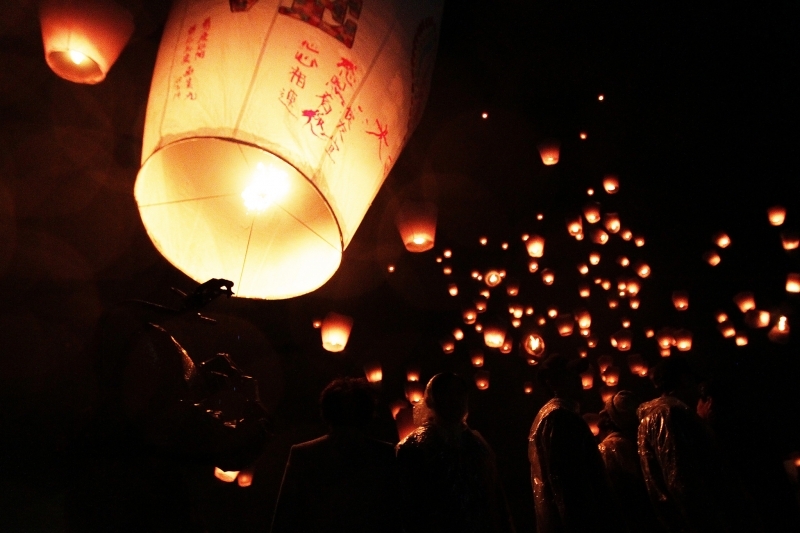 If you have the opportunity to be in Taipei on the last day of Chinese New Year (February 19, 2019), the Pingxi Sky Lantern Festival will be held here and you simply can’t miss that! And who hasn’t heard of the eclectic food of Taiwan? While some restaurants may close early on the eve and the first day of CNY, the street markets such as Dihua Street and Ningxia Street Market will be there for you to sample the local delicacies and do some shopping! Tip: You may be tempted to visit the renowned Raohe or Shilin Night Markets but I would not recommend it since it will be packed especially during CNY. From the ethnic cleansing of the Chinese in 1740 by the Dutch colonials to the decades-long discrimination during Suharto’s New Order regime, the community of Chinese Indonesians certainly has a lot to celebrate during Tahun Baru Imlek. The festivity of Imlek year after year in the royal city of Solo is a perfect example of how the Tionghua and Javanese communities have succeeded in celebrating unity in diversity. What’s so unique about the celebration that you need to experience it yourself? It’s this parade they proudly call Grebeg Sudiro. 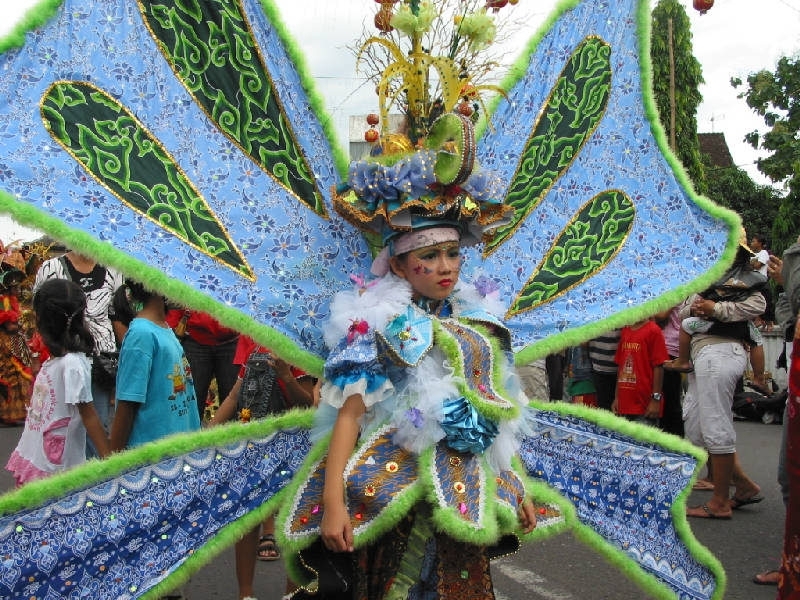 In thanking God for his blessings, both communities come together in Pasar Gede to parade around gunungan, huge cone-shaped floats carrying of niangao (glutinous rice cakes), fruits, vegetables and traditional snacks. The parade then culminates in the grabbing and sharing of the produce by the people, which echoes the Javanese teaching of ‘ora babah ora mamah’, meaning there is no food without a struggle. You can also expect traditional arts such as the famous Chinese lion dance and Javanese Reog dance to be performed there. 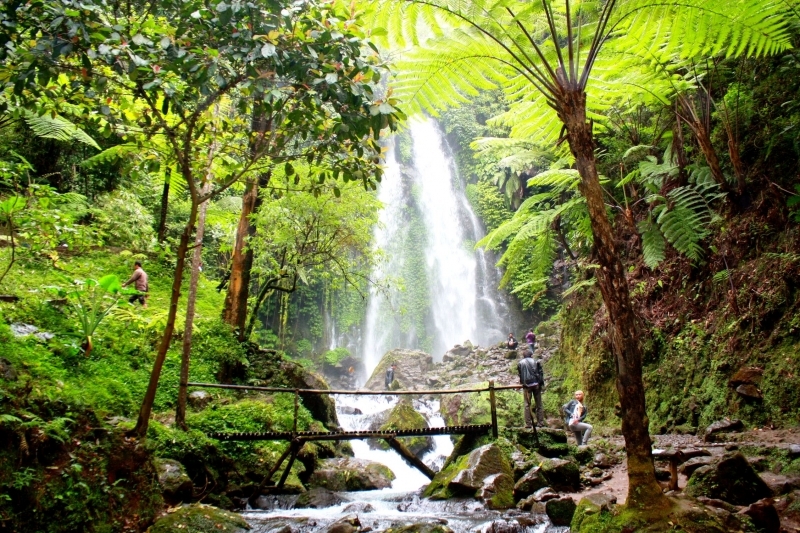 Not only that, Solo’s close proximity to its sister city, Yogyakarta is another reason to visit Indonesia this CNY! Temple-running in the historic Borobudur and Prambanan? Check! In Vietnam, Chinese New Year is locally known as Tet and the importance of this holiday can be seen in the sheer level of festivities before, during and after Tet. 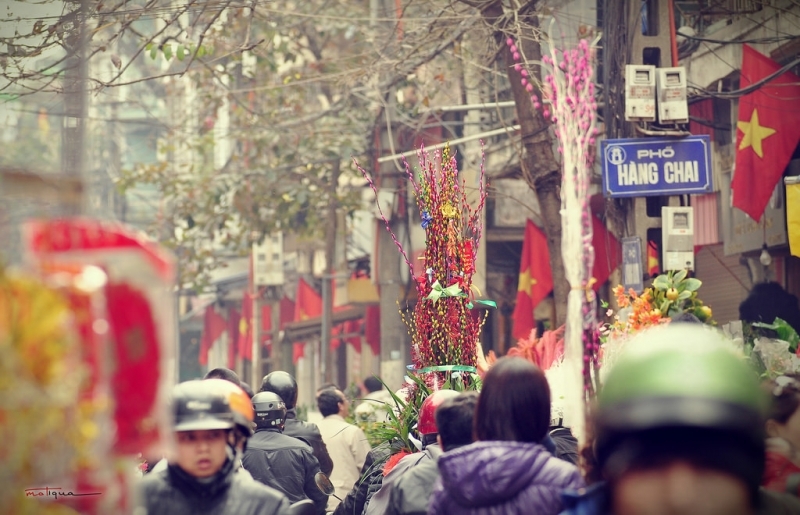 Hanoi, the capital city of Vietnam, is by far the best place to be during this festive season. The pleasant weather as late winter approaches the city will make you forget the scorching heat in Malaysia. The lively Tet markets and the blossoming peach trees are all quintessential aspects of the Tet atmosphere in Hanoi. Ask any northern Vietnamese and they would agree! If you are there a few days before Tet, don’t miss the Nhat Tan Flower Village, for you’ll witness a beautiful garden with various plants. As a symbol for health and good luck, you’ll also see the locals taking pictures among the flowers here to welcome the New Year. Here’s an idea: get your hands on traditional Vietnamese ‘Ao Dai’ (trust us, it’ll flatter any figure!) and snap some photos here! Strolling around the Tet markets is simply a delight during this time too. You’ll see the locals purchasing Kumquat trees and branches of peach trees to be put in their homes. And not forgetting scrumptious traditional Tet food such as Banh Chung (steamed square cake) and Vietnamese sausages. 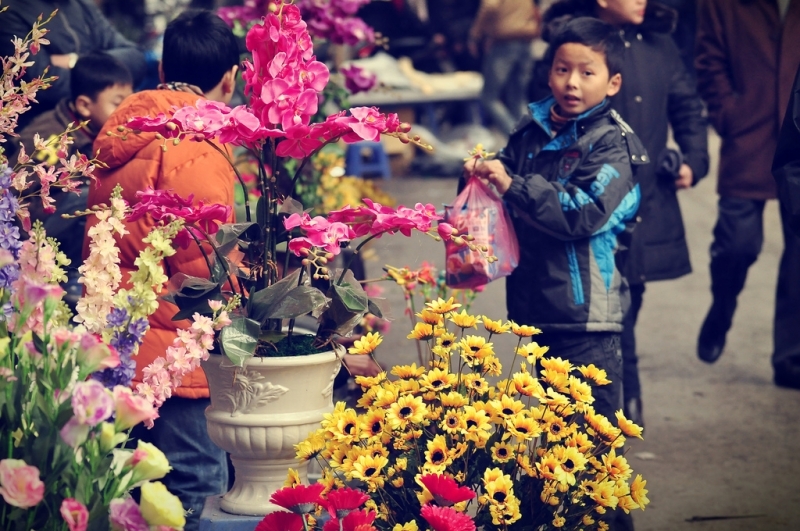 Among the must-visit markets are Dong Xuan Market, Quang Ba Flower Market and Hang Ma antique market. The celebration begins on the eve of Tet (February 4, 2019), where there are 30 sites in Hanoi scheduled for the fireworks display. Hence, we highly recommend Hoan Kiem Lake, West Lake or My Dinh Stadium because there’ll be special fireworks performances! As a country imbued with long-held traditions, Vietnam is also renowned for many festivals. During the month of Tet, among the festivals you can look forward to are Huong Pagoda Festival, Co Loa Festival and Hai Ba Trung Festival. Planning to celebrate CNY in Thailand? We’ve got your back, fam! As the country with the largest Chinese population outside China (around 9 million people! ), you’re making the right choice to fly here this festive season. And what is Thailand most famous for? The food, of course! If you want to sample some of the best Thai street food while enjoying the CNY atmosphere, then Chiang Mai should be on your list. 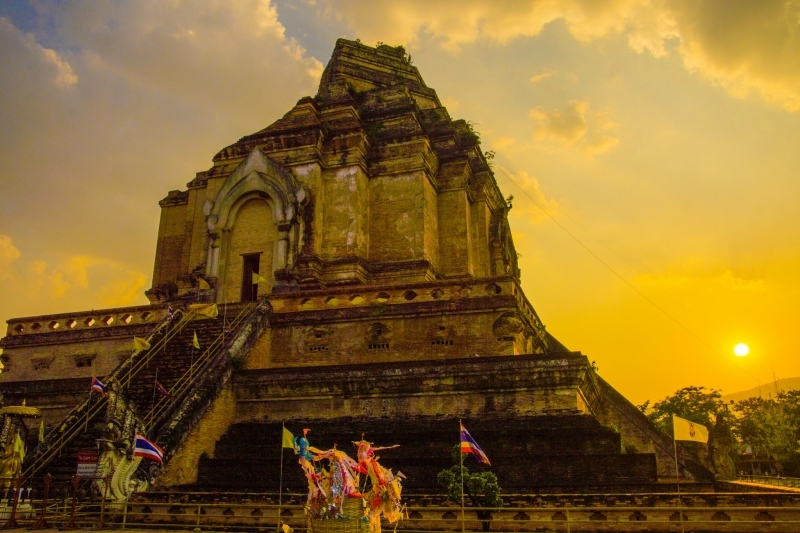 Bangkok may have the biggest CNY celebration but if you’re looking to skip the hustle-bustle of a city, the tranquil city of Chiang Mai is the perfect place to visit. 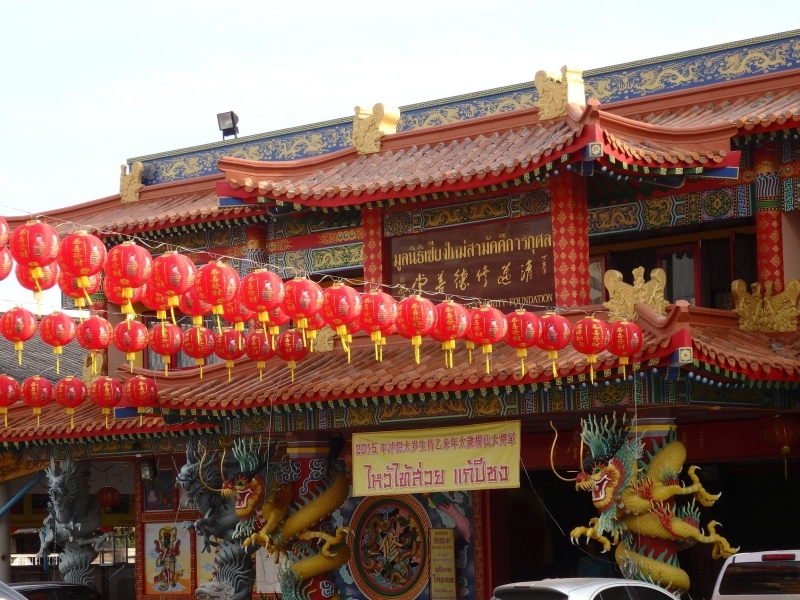 Here, the celebration is centred at Warorot Market, the landmark of Chiang Mai’s Chinatown. Located right beside Ping River, Warorot Market will be extra lively during CNY with red lanterns adorning the street. Come here with an empty stomach because you’ll come across stall after stall offering traditional CNY food and Thai food. Not forgetting the souvenirs, clothes and accessories, among others. The best thing about spending your holiday here is that all businesses will be open since CNY isn’t considered a public holiday (except in some provinces in Southern Thailand). So, apart from enjoying the humble festivities, you could also visit the attractions in Chiang Mai too. Home to Thailand’s highest mountain, Doi Inthanon, hundreds of enigmatic Buddhist temples, and well-preserved nature, you’ll never get bored exploring this place! 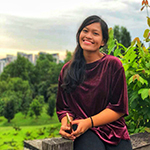 If Warorot Market is not enough for you, Chiang Mai Gate Night Market, Chang Puak Gate Night Market and Kalare Night Bazaar and are all some of the top picks here too. Celebrating CNY in India has got to be the most unique thing you do this year! There are only two Chinatowns in the whole country and both are located in Calcutta, the capital city of West Bengal. In contrast to Thailand, the population of Chinese immigrants in India is small. Due to internal conflicts and better job opportunities elsewhere, the population is getting even smaller. Today, there are less than 5,000 of them, most of whom have settled in Calcutta. Today, a typical CNY tradition here is not only to be reunited with one’s family but to also visit the tomb of Tong Atchew. Tong Atchew was a tea trader who is considered the ancestor of the Chinese in Calcutta. He was the first Chinese immigrant to set foot there in 1778. His success in setting up a sugar mill and bringing in Chinese labourers led to Calcutta becoming home to the oldest Chinatown in South Asia. The CNY celebration centres around Tiretta Bazaar (Old Chinatown) and Tangra (New Chinatown). 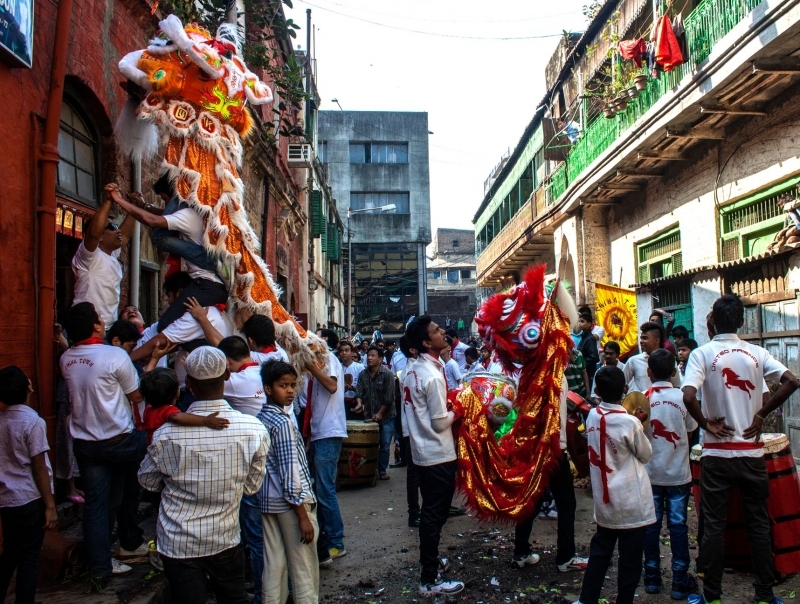 Dragon and lion dance parades, delicious Chinese delicacies as well as Indian-Chinese food await you in the narrow alleys. Visiting Calcutta around this time also means you get to enjoy the pleasant winter weather. Dubbed as the ‘City of Joy’ for various reasons, Calcutta is also home to attractions such as Mother Teresa’s House, the riverside Dakshineshwar Kali Temple, and the majestic, marble-built Victoria Memorial. CNY is locally known as Seollal in South Korea. For years, Koreans have struggled to preserve this traditional celebration. The festival was banned in 1907 under Japanese occupation as a part of cultural assimilation. However, after decades of efforts by locals, Seollal was finally recognised and reinstated as a national holiday in 1985. Seoul is undoubtedly one of the best places to fly to during this festive season. Celebrated for three days, there is a wide array of activities you can participate in here. 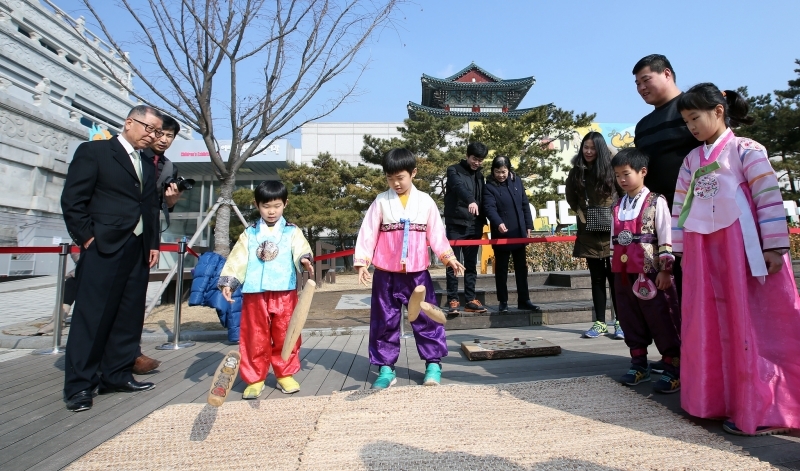 The National Gugak Center, a center for learning Korean traditional music, is hosting a Lunar New Year performance on the 5th and 6th February this year. Admission is 1o,000 KRW. However, if you wear traditional Hanbok or if you were born in the year of the Pig, you need only pay 1,000 KRW! Apart from that, there are traditional folk villages such as The Namsangol Hanok Village and The Korean Folk Village to visit. Here, you can participate in folk games and witness traditional ancestral rites. And what’s a holiday without a feast? You can head to street markets such as Gwangjang Market and Namdaemun Market for some Seollal food. Don’t miss the classics like Japchae, Mandu, Tteokguk and Hangwa. While most businesses are closed for the holidays, a few of the tourist attractions are still open to the public. Such attractions include Namsan Seoul Tower, Gyeongbukgung Palace and the Hangang River Ferry Cruise. Remember to bring multiple layers of clothing as the weather is quite chilly during this time. And there you have it! Six places that won’t break your bank and will still give you the best CNY experience with their uniqueness! So, if you’re looking to spend Chinese New Year away from home this year, try them out! And with that, here’s wishing everyone a prosperous new year in the year of the pig! Gong Xi Fa Cai!